Contributor: Peter Tragos How can I contribute? What do you think when you hear the term “road rage”? Is it the aggravation felt when someone cuts you off and you shout, “What are you doing? !” as the offending car weaves through traffic at 95 mph? Is it the annoyance felt when a driver in the left lane insists on going 55mph? In fact, road rage is much more serious than a sudden increase in natural fear or a persistent level of annoyance. Road rage is a rising cause of deaths on American highways. Learn more: We discussed the problem of road rage in our Peter’s Proffer podcast series. According to the Washington Post, road rage has gotten uglier, angrier and a heck of a lot deadlier in recent years. 66 percent of traffic deaths are caused by aggressive driving. Of those fatalities, more than a third involve a firearm. 2 percent of drivers admit to trying to run another car off the road (emphasis added). Take another look at that last stat and envision a busy highway with fifty cars on it. At least one of those drivers are not only willing to run someone off the road, as though they were in a police-action movie, but they will openly say they’ve done it before. If that’s enough to make the hair on the back of your neck rise, think about what road rage-induced accidents do to families. This past October, a three-year-old girl was shot in the head by a raging driver in Port St. Lucie, Florida. The driver is still at large. The little girl is in a medically-induced coma. Road rage is a particular problem here in the Sunshine State, where we unfortunately lead the nation in road rage cases when comparing data over the past four years. That’s not the kind of #1 ranking we’re aiming for. If the focus is narrowed to the Miami area, the picture gets even worse. A survey by AutoVantage has named South Florida the “Road Rage Capital Of The World” for three years running. The Orlando and Tampa Bay areas aren’t far behind. What’s the cause of road rage accidents? Contrary to what angry drivers will tell you, it’s not the fault of the slow-moving “idiot” ahead of them. Some might say tailgating. But that’s a behavior that springs from road rage, it’s not the cause itself. Others might say heavy traffic. This is a little closer to the truth, but still only a part of the reason. The biggest reason behind road rage is what goes on inside the brain of the driver. Doctors use the term “intermittent explosive disorder.” This is a medical professional’s way of describing someone who can get really teed off, really fast, and lose control of their emotions in the process. Anger management issues is another term for it. If this description is uncomfortably close to describing you, seek out some help. There’s no shame in getting medication if that’s what’s necessary. It beats being one of the 2 percent of drivers that are willing to run someone off the road. Drivers who struggle with road rage need to work on managing their own stress. That starts before getting behind the wheel. Allow yourself more time to get where you need to be. If you’re stuck in traffic and not moving, simply call and tell whoever you need to that you’ll be late. It’s not the end of the world. Remember that your kids are learning their future behavior from you—or at the very least, being affected by it. 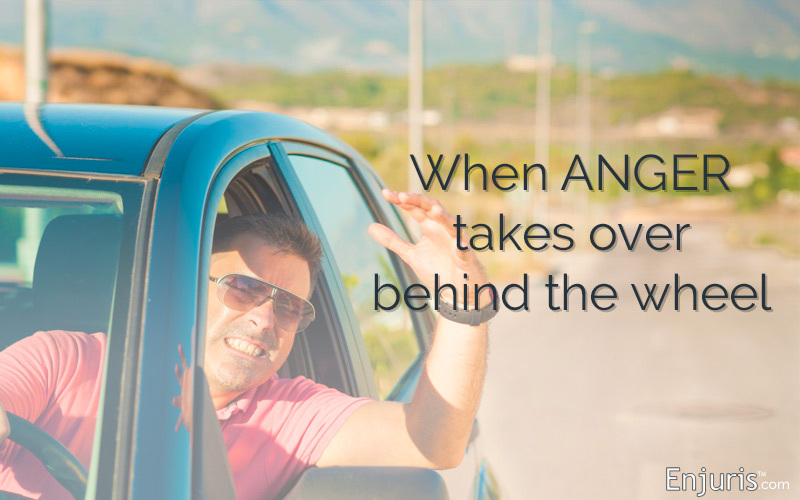 If you’re going crazy and tailgating other drivers when they’re in the backseat, your best-case scenario is your kids talking about it on a therapist’s couch or inside the walls of a 12-step meeting. Your worst-case scenario is they end up imitating you. Speaking of your family, I think they’ll agree that your peace of mind, your internal calm and your domestic happiness are all worth more than lost time due to traffic conditions. Drivers that don’t value their own lives aren’t going to value the lives of others when they’re on the road. If all else fails, develop a healthy fear of prison. The NHTSA defines road rage as criminal offense, not just a traffic violation. Jail isn’t a reasonable price to pay for whatever time you think you’re saving or whatever vigilante justice you think you’re exacting. Were you or a loved one injured in a road rage car accident? 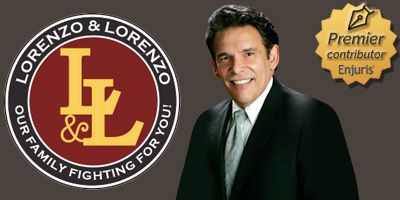 Our Tampa car accident lawyers understand that your situation and your difficulties are unique. You deserve a legal team that takes a personalized approach to your case to help you reach a positive result.Our attorneys seek to protect our clients’ rights and ease their financial burdens. Filing a successful personal injury case isn’t as easy as it may seem. In any personal injury case, a variety of factors come into play and critical errors must be avoided. We can help. 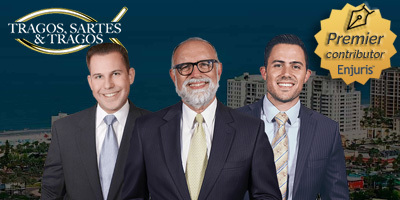 Tragos, Sartes & Tragos is an award winning law firm in Clearwater, specializing in a wide range of personal injury cases — from car accidents to nursing home abuse to wrongful death and pedestrian/bicycle accidents. George Tragos, Peter Sartes, Peter Tragos and their highly skilled legal team fight hard to ensure you get what is deserved due to the negligence of someone else. View our profile and visit our website today. Have you experienced road rage? Share in the comments below.